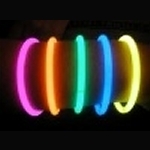 With these quality 6mm thick, 8" glow bracelets you can outshine the competition with 44% more glow! 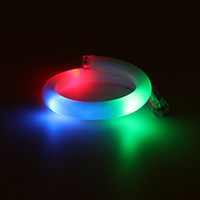 This cool bracelet is actually made of a unique translucent rubber, showcasing the extremely bright flashing multi-color LEDs. 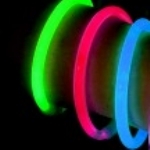 This tube of 100 assorted color 8" glow bracelets comes with removable connectors already attached, making it super easy to hand out individual bracelets. Shake things up with these silicon bands that light up when you move. Slide one on your wrist and get ready to get noticed. Our spiral tube bracelet expands to fit any wrist. Available in multicolor, blue or purple.